The Atlas Brass performs as a brass quintet, but can configure our group size from a solo trumpet, to brass trio, to brass quintet to a full brass choir based on your needs and budget. 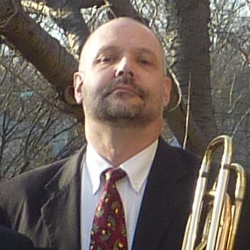 Ed is the leader and founder of the Atlas Brass. He has appeared with numerous top performers including Al Chez and the Brothers of Funk, Bruce Springsteen, Martha Reeves & the Vandellas, Lou Christee, Gary U.S. Bonds, The 4 Tops, Jon Faddis, Maynard Ferguson, Curtis Fuller and Lou Rawls. Ed has held down the trumpet chair for several tri-state area bands including Boulevard East, Spectrum and Steppin’ Out. In 2011, he performed with the Allentown Symphony as part of a concert featuring the Empire Brass Quintet. While in college, Ed played lead trumpet in the Rutgers University Jazz Band. 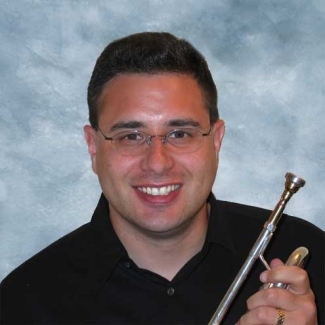 Prior to college, he was lead trumpet for the McDonald’s All American High School Jazz Band, Principal trumpet for the New Jersey Youth Symphony (under tutelage of Doug Haislip of the Solid Brass) and Principal Trumpet for the MENC All Eastern Orchestra. Ed has studied privately with Phil Ruecktenwald, Nick Marino, Jim Sakofsky and noted brass quintet arranger Paul Nagle. Mike was a music composition major at Michigan State University, studied trumpet with Byron Autry, and later studied composing music for film at University of California at Los Angeles. He maintains an active schedule in trumpet performance in a wide variety of venues: pit orchestras, bands, small jazz combos, church services, jam sessions, various brass ensembles and orchestras, and also jazz piano performance. He also teaches Music Theory, Jazz Piano and Trumpet at The Westminster Conservatory of Music in Princeton, NJ. Craig Levesque is a graduate of the University of New Hampshire (B.A., Music Theory and Composition; M.A., Music History) and Rutgers University (Ph.D., Music Theory and Composition). His primary composition teachers were Niel Sir, Dr. Andrew Boysen, Jr. and Pulitzer Prize winning composer Charles Wuorinen. 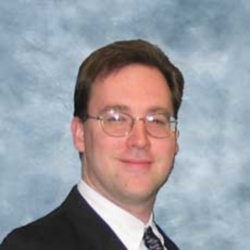 Dr. Levesque teaches Theory and Ear Training at Rutgers University and The Westminster Conservatory of Music, where he also teaches Horn and Composition. He is in demand as a composer and arranger, with numerous premieres and performances throughout the Northeast. Jim received his BA from Trenton State College and his MM University of Michigan. He studied under David Uber. 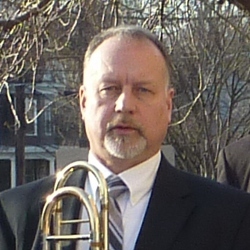 In addition to his duties with Atlas Brass, Jim is an active freelance trombonist and has performed with the Trenton Symphony, Delaware Valley Philharmonic, Newtown Chamber Symphony, Papermill Playhouse Orchestra, Boheme Opera Company, Midnight Sun Orchestra and the Lenny Enourato Big Band. Mark Benson is a graduate of Central Michigan University (B.M., Music Performance) and Michigan State University (M.M. and Ph.D., Music Theory and Composition). 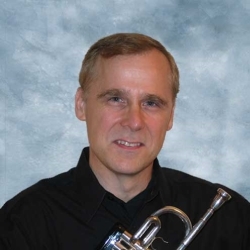 A versatile low brass doubler and teacher, Dr. Benson has served on the faculties of Michigan State University, Penn State University, Ferris State University, Bucks County Community College and the National Arts Camp at Interlochen. He currently lives in Yardley, Pennsylvania with his wife, oboist Beth Benson and their two children. He maintains an active performance and private teaching schedule and works as a piano technician.